-Of or relating to Sparta or its people. -Simple, frugal, or austere: a Spartan diet; a spartan lifestyle. -Marked by brevity of speech; laconic. -Courageous in the face of pain, danger, or adversity. 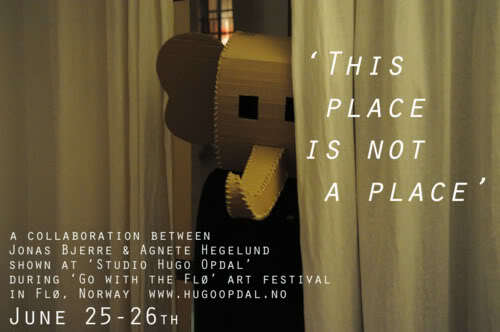 You’ve probably heard about this art piece to be shown in Norway later next month. Right now it seems that This Place Is Not A Place will be shown ONLY here, so if you are able to attend, you should. Unfortunately, it’s not the easiest destination to get to. 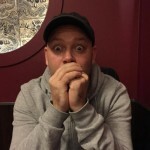 Jonas Bjerre is still working on the Skyscraper -soundtrack as well, and people have been wondering online if we get a follow-up single for Kids Don’t Fight soon. Like with Mew, these things take time. As you may know, earlier this month Nicolas Winding Refn won Best Director at Cannes Film Festival for his thriller Drive, starring Ryan Gosling. Best-known for his Pusher -films, Nicolas also directed I Should Have Been A Tsin-Tsi (For You) -video for Mew, and the music video is featured on Eggs Are Funny -DVD. Jonas remembers this video shoot very well. Thanks to Dabo De Lira for the image that combines Drive and Tsin-Tsi. PS: If you are not following us on Twitter yet, now is the time. We will have a contest there and the winner will be the 5th – and last – to get our MewX 5th Anniversary -prize package next month. Without spoiling too much, Jonas is also doing something for these prizes. One of you will join the previous winners – Aleksi, Ainur, Christel and Jesper.